It's August, my birthday month, school and uni holidays and - in the Lake District - often one of the wettest months of the year. This year the summer so far has been hotter than a witch's cauldron and tinder dry. My office is too hot to work in, so I've migrated down to my bedroom (it's an upside down house!) which has a big window opening onto the river bank and a nice breeze blowing through. I'm not doing much blogging or Facebooking this month - it's time for reading, relaxing (alcohol is involved here) and enjoying the smallest members of my family who come to stay. The Girl is working at a local hotel, making beds and cleaning up after tourists. Neil is in Italy (hotter than a pizza oven) house-sitting for a friend and trying to get some sculpture done. 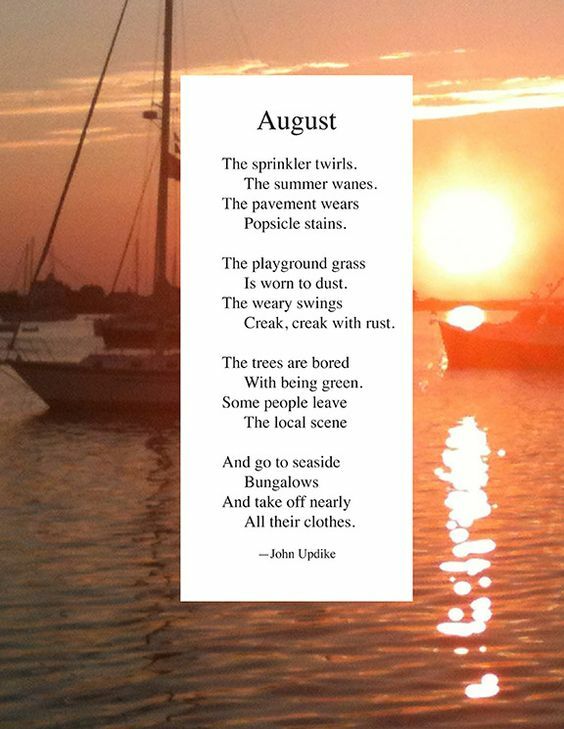 I'm copy-editing a book for the autumn, in fits and starts (mostly stops), and working on some new poems. 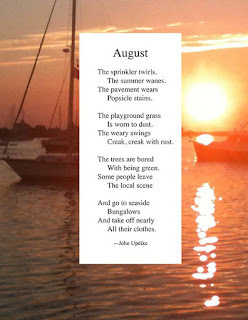 I found the above poem by John Updike online and it immediately reminded me of Fleur Adcock's poem 'Future Work', where the poet is optimistically thinking about the summer ahead. It is going to be a splendid summer. expanding weightily in the soft air. and plant out all the geranium cuttings. Pinks and carnations will be everywhere. 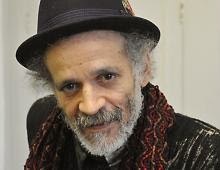 with Olivier brilliant in a minor part. they sing in my head, they tingle along my nerves. It is all magnificently about to begin. 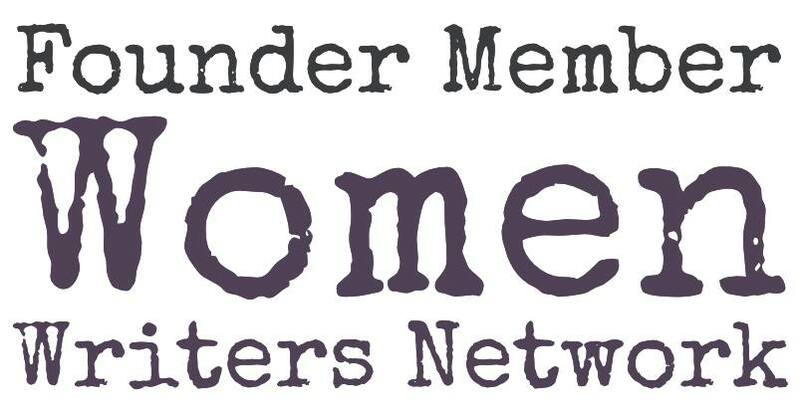 It's a blend of mainstream publishing, small press and indie, as well as a mixture of poetry and fiction - three of each, though there is some cheating involved there, which I will explain later. 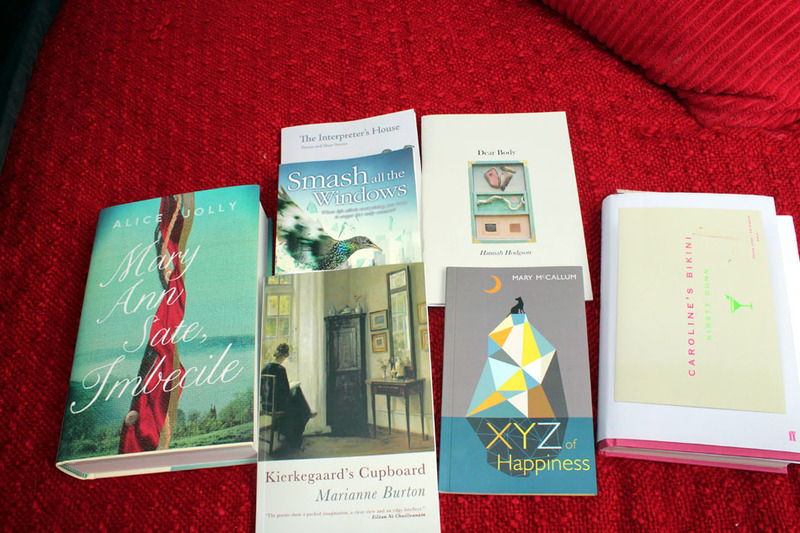 Mary Sate: Imbecile, by Alice Jolly, Kierkegaard's Cupboard, (poetry) by Marianne Burton, Smash all the Windows, by Jane Davis, The Interpreter's House mag, Dear Body, (poetry) by Hannah Hodgson, the XYZ of Happiness (poetry) by Mary McCallum, and Caroline's Bikini by Kirsty Gunn. Can't wait!